Few things in our existence as humans have inspired more wonder and mystery than those burning giants above us, the stars. Paint with us and create a beautiful ode to these cosmic enigmas. We can’t wait to have you painting with us! For your enjoyment, arrive 15-20 minutes prior to class start time so you can get your food and beverages all set up and ready for the class as classes do start on time! You are welcome to bring any food you like, as well as BYOB beer and wine. Or you may purchase beer and wine from our in studio bar. We provide the rest for you to enjoy your event - including painting supplies, aprons, plates, napkins, utensils, glassware, openers, ice, ice buckets, and bottled water (yes it is free here) for your use. While we welcome walk ins, We provide reserved seating for our guests who sign up in advance! So please let us know who you would like to be seated with with when you register! In order for our guests to Paint. Drink. Have Fun, please see our FAQs for our cancellation (including winter weather) policies and age restrictions on this class. Invite your friends...the more the merrier! Signing up is easy. 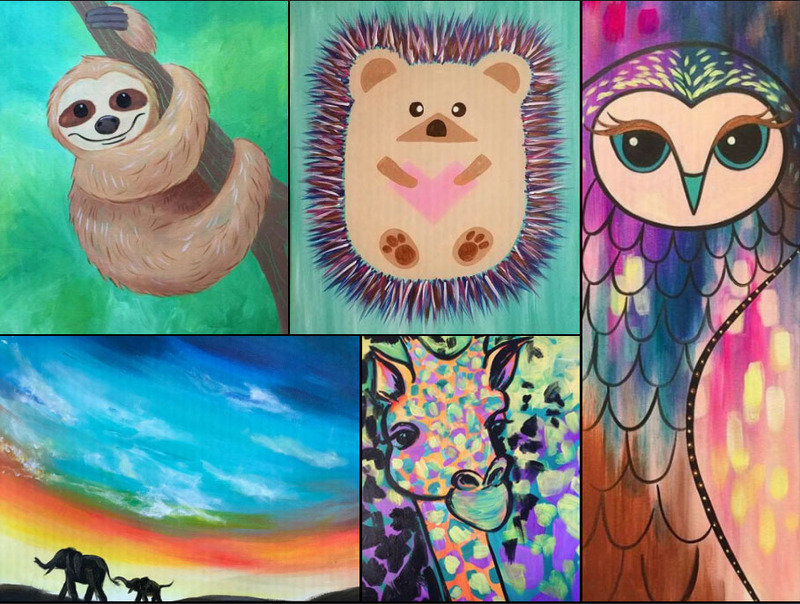 Click the "Event Calendar" to view our calendar of painting parties. Select which event you would like to attend and click"Register Now." Follow the on-screen directions to complete the order. Contact us if you have trouble completing your order and we will walk you through the process. Phone orders with a credit card are taken M-F from 11am - 3pm, exluding holidays. Classes are held on Thursday, Friday, and Saturdayafternoons and evenings. We also occasionally have classes on other nights during the week & Sunday afternoons. View our class calendar to find out more at www.pinotspalette.com/chesterfield/classes. Two hour classes are $35 per person, Three hour classes are $45 per person, Family/Kids Days are $30 per canvas, Project Pet is $55 per painter. We recommend you arrive 15-20 minutes before class starts to allow time for you to get settled in and mingle before the painting starts.